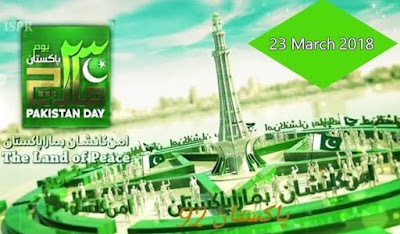 As Pakistanis celebrate the 78th anniversary of the Lahore Resolution of 1940 on March 23 this year, it's time to ask the following questions: How is Pakistan doing? What is the reality? How is it perceived? The worst 1% of the Pakistan story gets 99% of the media coverage, says Lahore-based Pakistani entrepreneur Monis Rahman. In the same vein, former US President Bill Clinton has said this about the media coverage of the continent of Africa: "Follow the trend lines, not the headlines". 1. Pakistan's economy has crossed the trillion dollar mark in terms of purchasing power, according to the IMF. It is among the world's top 25 largest economies. It is also the world's third fastest growing among the trillion dollar plus economies. 2. Pakistanis have consistently ranked higher than their neighbors on the United Nations World Happiness Index since it began producing annual reports in 2011. Pakistan rose from 80th place in 2017 to 75th place this year while all of its neighbors slid from last year's happiness rankings. Bangladesh dropped 5 spots to 115 while India slid 11 places to 133 among 156 nations ranked. China (86), Bhutan (97), Iran (106), Bangladesh (115), and Sri Lanka (116), India (133) and Afghanistan (145) all fared worse than Pakistan (75). 3. The share of national income of Pakistan's poorest 20% of households has increased from 8.1% to 9.6% since 1990 , according to the United Nations Economic and Social Commission for Asia and Pacific (NESCAP) Statistical Yearbook for 2015. It's the highest share of income for the bottom income quintile in the region. 4. Pakistan is the world's fastest growing steel producer. Steel production in Pakistan jumped 39.3% to 5 million tons last year, according to World Steel Association. Earlier, Pakistan steel industry ramped up its output from 2.9 million tons in 2015 to 3.6 million tons in 2016. Steel demand in Pakistan is currently about 10 million tons a year and growing at 25-30% a year. Half of it was met by local production while the rest was imported in 2017. Pakistani production capacity is growing at 40%, faster than 25-30% growth in demand. 5. Pakistan's public spending on education has more than doubled since 2010 to reach $8.6 billion a year in 2017, rivaling defense spending of $8.7 billion. Private spending on education by parents is even higher than the public spending with the total adding up to nearly 6% of GDP. Pakistan has 1.7 million teachers, nearly three times the number of soldiers currently serving in the country's armed forces. 6. There are over 3 million students enrolled in grades 13 through 16 in Pakistan's 1,086 degree colleges and 161 universities, according to Pakistan Higher Education Commission report for 2013-14. The 3 million enrollment is 15% of the 20 million Pakistanis in the eligible age group of 18-24 years. In addition, there are over 255,000 Pakistanis enrolled in vocational training schools, according to Technical Education and Vocational Training Authority (TEVTA). 7. Pakistan has emerged as the country with the highest percentage of Highly Cited Papers compared with the BRIC countries (Brazil, Russia, India and China) in the last 10 years, according to Thomson Reuters. Pakistan has done so despite the fact that its "R&D environment faced substantial economic challenges". 8. In 2014, Pakistan became the first Asian country and only the third in the world after Turkey and Serbia to be honored with CERN's associate membership. The status of associate member is a step before full membership. As an associate member, Pakistan is entitled to attend open and restricted sessions of the organization. 9. Rising numbers of working women are bringing about a silent social revolution in Pakistan. World Economic Forum's gender parity program is led by Saadia Zahidi from Pakistan. In her book "50 Million Rising", Saadia talks about her father being the first in his family to go to university. He believed in girls' education and career opportunities. She recalls him suggesting that "my sister could become a pilot because the Pakistan Air Force had just starting to train women. Another time he speculated that I could become a news anchor because Pakistan Television, the state-owned television network, had started recruiting more women". 11. Pakistan's labor force expansion is the 3rd biggest in the world after India and Nigeria, according to UN World Population Prospects 2017. Rising working age population and growing workforce participation of both men and women in developing nations like Pakistan will boost domestic savings and investment, according to Global Development Horizons (GDH) report. Escaping the low savings low investment trap will help accelerate the lagging GDP growth rate in Pakistan, as will increased foreign investment such as the Chinese investment in China-Pakistan Economic Corridor. 13. Pakistan is the 5th largest motorcycle market in the world after China, India, Indonesia and Vietnam. With 7,500 new motorcycles being sold everyday, Pakistan is also the among the world's fastest growing two-wheeler markets. Passenger car and motorcycle sales in Pakistan are both soaring at rates of over 20% a year. 15. Pakistan's tourism industry, currently estimated at $20 billion (6.9% of GDP in 2016), is booming, according to data available from multiple reliable sources. World Travel and Tourism Council (WTTC) forecasts it to grow to over $36 billion within a decade. Significantly improved security situation has helped boost annual tourist arrivals in Pakistan by 300% since 2013 to 1.75 million in 2016, while domestic travelers increased 30% to 38.3 million, according to the state-owned Pakistan Tourism Development Corp. Hotel bookings increased 80 percent in 2016, according to Jovago, Pakistan’s biggest hotel booking website. As Pakistanis celebrate 78th anniversary of the Lahore Resolution passed on March 23, 1940, the key trend lines for their country continue to be very positive. Resilient people of Pakistan are overcoming multiple challenges stemming from the continuing war in Afghanistan and India's abiding hostility. Pakistanis are defying all the prophecies of doom and gloom and thriving against all odds. Pakistan's trillion dollar economy is among the top 25 largest in the world. Rising disposable incomes are reflected in Pakistan being the world's fastest growing retail market. The increasing share of income of the bottom 20% of households puts Pakistan among the less unequal countries in the world. Pakistan is indeed rising. Here's a video titled "Pakistan Rising or Falling? Myth vs Reality"
Very impressive. I hope the trend continues. Ahmad: "In the meantime, there are still some mundane issues to deal with. Such as, .... http://www.espn.com/cricket/story/_/id/22803378/who-go-pakistan"
Again, follow the trend line, not the headline. No foreign player would go to Pakistan from 2009 to 2016. Now several of them are going. There's also an ODI series planned in a few months. The China-Pakistan Economic Corridor, a flagship project of China’s prestigious One Belt One Road, links its restive Xinjiang region with Balochistan province. Pakistan’s foreign direct investment inflows from China reached $1.281bn, an increase of 139%, in the July-February period of the financial year 2018. Pakistan’s foreign direct investment (FDI) surged 15.6% in the eight months of current fiscal year largely drawing strength from massive Chinese inflows under China-Pakistan Economic Corridor projects, data released by State Bank of Pakistan showed yesterday. The FDI in the July-February period of FY18 increased to $1.941bn from $1.678bn a year earlier. In February alone, the FDI inflows were recorded at $340.8mn, compared to $146.7mn in the corresponding month of last fiscal year. During period under review, the FDI inflows from China reached $1.281bn, an increase of 139% over the same period of the last fiscal. On the other hand, investments from the United Kingdom rose to $205.5mn against $139.9mn last year, whereas inflows from Malaysian firms increased to $121.3mn from $16.7mn year ago. Most of the investment went into power, construction and financial sectors. Analysts expect foreign direct investment to be around $3bn-$3.5bn during the current fiscal year, reflecting surging Chinese investments under China-Pakistan Economic Corridor (CPEC) – a part of Beijing’s “One Belt, One Road” initiative to develop trade and transport infrastructure in Asia. “Our flow of foreign investment has reduced to one country that’s China. For a country like Pakistan, foreign investment should be broad-based. We shouldn’t put all the eggs in one basket,” said Dr Ashfaque H Khan, renowned economist and dean at NUST School of Social Sciences. “Since Pakistan-China relations are very deep-rooted and strategic in nature that’s why the flow of FDI is rising, but our traditional foreign investors appear to have shied away from Pakistan which is not a good sign,” Khan added. It must be noted that foreign direct investment for fiscal year 2017 stood at $2.218bn. The FDI data came after the International Monetary Fund’s (IMF) Extended Fund Facility post-programme monitoring report showed the external sector imbalances were likely to elevate further this fiscal year owing to widening current account deficit. “Despite continued recovery of exports and some moderation of import growth, the current account deficit is expected to widen to $15.7bn (4.8% of GDP) this year,” the IMF said in the report. “On current policies, and based on the authorities’ ambitious external financing plans, gross international reserves are expected to further weaken to $12.1bn (2.2 months of imports) this year, with risks skewed to the downside,” the IMF report said. The FDI from China under economic corridor could help improve depleting foreign exchange reserves as the country’s account remained negative. However, the CPEC investments are increasing debt risks for Pakistan. “While some of the gap in the current account (CPEC-related) is being funded by increased foreign direct investment – mainly from China a large portion is being funded by debt. This has led to a rise in Pakistan’s overall external debt to 27.3% of GDP in December 2017 from 24.8% in December 2015 which we believe will increase further,” a report released by Standard Chartered Bank last week said. I feel that the wind of change has started blowing and we can anticipate better things happening in Pakistan ! #Pakistan ranks number 13 while #India is at number 4 among 50 most powerful militaries in the world. #US at 1, #Russia at 2, #China at 3. Ranking by global firepower uses 50 parameters including manpower available and diversity of weapons. Global Firepower has ranked the world's military powers by more than 50 parameters, including manpower available and diversity of weapons. In this gallery, Newsweek looks at the most powerful military forces in the world, starting with the 50th strongest and working up to number one. 13. Pakistan. Defense Budget: $7,000,000,000. Total Military Personnel: 919,000. Total Aircraft Strength: 951. Tanks: 2,924. Armored Fighting Vehicles: 2,828. Total Naval Assets: 197. Aircraft Carriers: 0. Submarines: 8. Power Index: 0.3287. 4. India. Defense Budget: $51,000,000,000. Total Military Personnel: 4,207,250. Total Aircraft Strength: 2,102. Tanks: 4,426. Armored Fighting Vehicles: 6,704. Total Naval Assets: 295. Aircraft Carriers: 3. Submarines: 15. Power Index: 0.1593. 3. China. Defense Budget: $161,700,000,000. Total Military Personnel: 3,712,500. Total Aircraft Strength: 2,955. Tanks: 6,457. Armored Fighting Vehicles: 4,788. Total Naval Assets: 714. Aircraft Carriers: 1. Submarines: 68. Power Index: 0.0945. 2. Russia. Defense Budget: $44,600,000,000. Total Military Personnel: 3,371,027. Total Aircraft Strength: 3,794. Tanks: 20,216. Armored Fighting Vehicles: 31,298. Total Naval Assets: 352. Aircraft Carriers: 1. Submarines: 63. Power Index: 0.0929. 1. The United States has the strongest military in the world, according to the Global Firepower ranking system. Defense Budget: $587,800,000,000. Total Military Personnel: 2,363,675. Total Aircraft Strength: 13,762. Tanks: 5,884. Armored Fighting Vehicles: 41,062. Total Naval Assets: 415. Aircraft Carriers: 19. Submarines: 70. Power Index: 0.0857. This is refreshing and uplifting. You do get tired of the 1% and start to believe that as the reality. The biggest danger to Pakistan remains the rise of fundamentalism and the security risk(though the latter seems to have improved in recent times). At some point, the trend line should become a headline, if it is a lasting and significant trend. I would hope we will begin to see positive headlines in the next 3 to 5 years. Ahmad: "At some point, the trend line should become a headline, if it is a lasting and significant trend. " The number of writers and books is increasingly exponentially. Most of the authors getting attention are those who emerged on the international scene and are on their third or fourth novel. Mohsin Hamid with Exit West and Kamila Shamsie with Home Fire made it to the longlist for the Man Booker Prize in 2017. Hamid’s The Reluctant Fundamentalist, too, was shortlisted for the Booker, in 2007. Pakistani novelists located in Pakistan and abroad – at first mostly women; now increasingly women and men in equal numbers – have been writing in English for 70 years. Getting noticed and unnoticed in unequal measure and owning this tongue of the Empire, they have been telling stories that chip away at boundaries and categories within ourselves and between “us” and “them”, the colonised and the coloniser, the post-Empire and the new empires. they have a tendency to be the sole spokesperson for Pakistan, speaking to a foreign power in the way it wants to be addressed and, in the process, strangulating and muffling all other voices. The urgency to be the native informant. Why is this so? The answer is complicated. It may boil down to geographical boundaries and political blueprints imposed on us by our colonial masters and the abused nature of our still-colonised society in a country that, to foreign interests, seems nothing more than a potash mine, a petroleum field or a port – the great plantation and its house slaves yearning not to be free. The novels that get praise abroad, and subsequently in Pakistan, promote narratives written in the tradition of taking cues from elsewhere and seeing Pakistan from a foreigner’s eyes. Even the websites for the authors published abroad do not mention reviews and interviews published in Pakistani magazines or newspapers. The new phase of industrialisation – this time powered by the China-Pakistan Economic Corridor (CPEC) – will not be possible without joint ventures between Chinese and Pakistani businesses, said Planning Commission Deputy Chairman Sartaj Aziz. The industrial cooperation under CPEC offers great opportunities and Chinese were considering shifting their industries to prioritised Special Economic Zones (SEZs) of CPEC, said the deputy chairman, a veteran economist. But full benefits of the SEZs cannot be reaped until Pakistani businessmen enter into joint ventures with Chinese partners, said Aziz. He said that his feeling was that the Pakistani entrepreneurs have not done their homework. Under the second phase of CPEC, Pakistan and China plan to set up at least nine special zones across the country, although the local authorities have yet to resolve issues that could hamper Chinese investment. Pakistan sees investment in SEZs as its second phase of industrialisation, which would not only increase per capita income but add hundreds of thousands of jobs. Aziz said that Pakistan’s economy was also dependent on global economic growth prospects but the countries have started looking inwards, which is detrimental to global growth. In such a scenario, the exports prospects are not very bright but CPEC provides the balancing factor to Pakistan, said the deputy chairman. A recent report of the International Monetary Fund (IMF) has projected double digit growth in exports for fiscal year 2018-19, starting from July. For the next two years, IMF projections also show growth in exports in the same league, which is double the projected growth in imports. Aziz said that the $60-billion CPEC bonanza is a big opportunity for Pakistan’s economy. During first eight months of the fiscal year, the Chinese foreign direct investment was equal to 60% of the total foreign investment in Pakistan. Aziz also underlined the need to project a soft image of Pakistan in Davos at the World Economic Forum (WEF) meet-up. The deputy chairman said that Pakistan’s economy was at a turning point and this was the best opportunity to showcase it to the global elites. Between 1966 and 1986, I was a devout reader of The Military Balance, published by the IISS in London. It had every country's data on hardware and manpower. It was authoritative. I wrote to them and inquired about the sourced. They said it was based on a survey of the countries. I was perplexed. I said they tell you everything about their military forces. They said yes. I was not sure what to say. I pointed out some inconsistencies in their time series data on Pakistan and they engaged in a long correspondence with me, saying some of the tank were in storage in certain years and pulled out of storage in other years. Some British colonel was my correspondent. Along the way, I discussed the SIPRI yearbook published in Stockholm. It had even more detail when which weaponry was acquired by which country. You knew exactly how many F-86s were delivered to Pakistan in which year and what model were they (A, or E, or F and so on). Along the way I read an eye-opening article by Sir Michael Howard in Foreign Affairs in 1979. He said people had forgotten about the other dimensions of strategy, and cited economic, social and cultural factors. That made me rethink all this data and begin to put it in perspective. And then I came across a most fascinating book by Colonel Harry Summers book about Vietnam, On Strategy. He says Bob McNamara arrived at the Pentagon, having run FORD Motor Company on the principles of System Dynamics he had learned at Harvard during his MBA. He asked the analysts at the Pentagon somewhere around 1965 to put all the data on US forces and Vietnamese forces into a computer and simulate the outcome of the battle. The computer came up with an answer: You won in 1962. Many years later, after the war ended, he says he was in Hanoi to chat with his counterpart. He said to the Vietnamese colonel: "You never defeated us in a single battle." The VN colonel pondered the question, smiled, and said: "That is irrelevant since you lost the war." Ahmad: "The VN colonel pondered the question, smiled, and said: "That is irrelevant since you lost the war."" Military Rankings do not predict success or failure by themselves. As we discussed in earlier post re India's Cold Start Doctrine and Pakistan's NCWF, the force requirements also depend on objective such as India's objective of coercion to dictate terms to Pakistan. At the 78th anniversary of Resolution of Pakistan, it is good to remind ourselves that Pakistan creation was a blessing and Pakistan was a refuge for Indian Muslims. I watched the movie Garam Hava recently. Both me and my wife could not believe how the last few of Muslims was in India in 1947. We both have thanks to Allah for giving us Pakistan. We also could not believe that India allowed such a movie. I learned more about the actor playing the main character Baleaj Sahni. He has played in my left leaning movies like Do Bigha Zamin. He was a Punjabi born in Bhera abd Fee up in Rawalpindi, studied in Lahore. Item 5 which states only 15% of the eligible youth are enrolled in schools/colleges is not something to be proud of. Education budget and its comparison with defense budget is not fully transparent. While only “on the books” budget for defense is listed, the education budget is expanded to include all federal, provincial and even private expenses on education. If one has to do this comparison, then in the defense budget all money spent on the defense under any heading and any under the table money. This would include money given to veteran organizations, which regularly require infusion of billions of rupees, housing schemes, all Military Inc enterprises plus military ai from US, and the Saudi funding of nuclear programs, Pak military controls a huge portion of national economy, that money should be included in the amount. Money that private individuals spend even on basic education is the result of failure of govt. to provide this service. Even in colleges, there are two types of students- those who pay a large fee and those who pay small fee.. All of this amounts to abdication of govt. responsibility. Then there are elite schools such as Aitchison and so called Arny Public Schools which leave poorer schools in dust. Graduates of these elite schools are bred to be rulers. Finally. to make this very impressive list of Pakistan’s ability to survive, abd stay strong, it would have been good to add few things where more work is needed. Democracy has not taken root is Pakistan yet. Religious extremism has not been suppressed. National integration needs lot more work. There has been no major water storage projects built since Tarbela Dam. Failure to address water issues is the singular failure of ALL GOVERNMENTS CIVILIAN ABD MILITARY! Pakistan is fasting becoming a water scarce country by technical definition. The lack of trust is so deep that provinces cannot even agree on implementing the 1991 water accord. Vast swaths of Pakistan territory have been turned into desert. After Indus Water Treaty, Sutlej and Ravi dried up. Areas of South Punjab and Bahawalpur lost their irrigation.. In summary, it is a good list, have some disagreement with couple of items, and to make it “fair and balanced” it would have been useful to list few challenges. On the water issue, you are the preeminent expert. Your point about the failure to build dams due to interprovincial rivalry was also mentioned to me in Detroit earlier this month by a young man who had worked in Pakistan through the US Army Corps of Engineers. He said the floods of 2006/7 could have been avoided by better siting of dams. Besides the water issue, there is also the issue of power shortages. They are the ultimate embarrassment. Just think of how long they have been going on. Rashid: " it would have more comprehensive to include"
As its title says, my post is 99% of the story, not 100% of the story. The reason I wrote it is to draw attention to the good things that are happening beyond the headlines. Yes, I agree. Pakistan has many issues, water being probably among the biggest of them. But it's not accurate to say that no major dams have been built in Pakistan since Tarbela. One example is Mirani dam built in Balochistan during Musharraf years. It's the world's largest dam in terms of volume of flood protection. And there are many smaller dams like Gomal Zam built recently that make more sense than a few very large dams that are difficult to finance. Katas Raj Pond case in Pakistan Supreme Court has brought mass media attention to the nation's existential crisis with its water resource depletion. The country needs to urgently address this looming crisis with a multi-pronged effort. It needs to build large dams and recharge its groundwater reservoirs. At the same time, Pakistan needs to find ways to conserve and more efficiently use the water resources it has. The country needs to particularly focus on efficient farm irrigation and planting of less water intensive varieties of crops because the agriculture sector uses over 90% of all available water. Ahmad: " there is also the issue of power shortages. They are the ultimate embarrassment. Just think of how long they have been going on. " Progress on the power front has been a bright spot since last year. Thousands of megawatts have been added and more are in the pipeline under CPEC. It is reflected in nearly 10% growth this quarter in large scale manufacturing output such as auto, steel and cement etc. A number of coal, natural gas, nuclear and hydro power plants have come on line in 2017. Chashma Nuclear Power Plant-3 and 4 of 340 MW each are expected to be completed during the current fiscal year. First of the 4 new units at Tarbela Extension power project has come online. Each unit will generate 470 MW. The Neelum Jheleum Hydropower project has been built and tunnels are currently being filled to bring 969MW on line. The 1,200MW RLNG based power plant at Balloki in Kasur district. Another 1200MW LNG Based plant Haveli Bahdarshah will be completed this year. hen it comes to charitable giving, Pakistan is a generous country. It contributes more than one percent of its GDP to charity, which pushes it into the ranks of far wealthier countries like the United Kingdom (1.3 percent GDP to charity) and Canada (1.2 percent of GDP), and around twice what India gives relative to GDP. A study conducted by Pakistan Centre for Philanthropy shows that Pakistanis give around PKR 240 billion (more than $2 billion) annually to charity. The same report indicates that about 98 percent of people in the country give in one form or another—if not with cash, then with in-kind donations or by volunteering for needy causes. Fueling this culture of generosity is the Islamic emphasis on giving—in the form of Zakat, Sadaqa, and Fitrana—as well as other moral and social factors and a deeply rooted sense of compassion toward community members. But despite this tradition of giving, most donations go directly to individuals, thus bypassing charitable organizations. While supporting needy individuals plays an integral role in Pakistan’s social safety net, to realize the full impact of philanthropy for more sustained development efforts, we must do more. For Pakistan to become a more integral player in the sustainable development agenda, we need to make efforts to institutionalize the individual tendency of giving and redirect it toward more-structured efforts. Thus, understanding the dynamics behind this preference of individual vs. organization is essential to building a truly civil and sustainable future. In trying to understand why Pakistanis prefer giving to individuals instead of organizations, we conducted research via household surveys and focus group discussions. We measured philanthropy in three ways: monetary giving, in-kind giving, and time volunteered. We found that when accounting for all forms of philanthropy, 67 percent of survey respondents said they give to individuals while 33 percent of respondents preferred giving to organizations. We collected data in the Sindh province in 2013 and also in Punjab, Balochistan, and Khyber Pakhtunkhwa (KPK) in 2014. In the case of in-cash philanthropy, Balochistan stands out with 90 percent of respondents preferring individuals as recipients for their giving. One reason for this could be that Baluchistan is the least developed province of the ones we studied, and thus charitable organizations in Baluchistan are less established and have gained less public trust that ones in the more developed provinces. Similar to cash donations, donors also prefer individuals for in-kind giving and time volunteered, albeit to a lesser extent. Punjab and Balochistan give in-kind donations to individuals at almost equal rates, and both provinces give slightly more than KPK does. Organizations seem to fare much better, however, when it comes to time spent volunteering: In KPK, close to half of the respondents volunteered their time for organizations, followed by Balochistan, with more than one-third of the respondents volunteering their time for organizations. Bagh-i-Jinnah on Sunday witnessed the public opening of Art Projects at the Lahore Art Biennale amidst a gathering of artists both local and foreign, art lovers, fashion gurus, art critics and educationists. It was lovely to see such a diverse range of artworks on display at Bagh-i-Jinnah at different places including on the hill in the middle of the garden. Fountains were running high and splashing water near the Quaid-i-Azam Library, an enjoyable and cool site for the visitors. One could see a good number of artists representing not only Lahore but other areas of the country and abroad at the opening of public art projects. A music performance by two Czech musicians in the main hall of the Quaid-i-Azam Library was pretty melodic. The musicians Jakub Junek on violin and Arel Vrtiska on piano told Dawn: “It’s our very first visit to Pakistan; we played music of romantic era that falls somewhere in the 19th century”. The musician duo was from Prague and Lahore Biennale was an amazing experience to them. Works of five artists were on display at Bagh-i-Jinnah, on the opening of public art projects of Lahore Biennale. The artists were Ali Kazim, David Alesworth, Mehreen Murtaza, Noor Ali Chagani and Wardha Shabbir. Over 50 artists are participating in the Biennale, including artists based in Bangladesh, India, Iran, Pakistan, Turkey, Sri Lanka, as well as from Europe and the United States. Participating artists in this first-of-its-kind activity in Lahore include Amar Kanwar, Naeem Mohaiemen, Shahzia Sikander and Shirin Neshat. Artists presenting major new commissions include Ali Kazim, Awami Art Collective, Aisha Khalid, and Imran Qureshi. The opening and closing weekends of the Biennale include programs of talks and performances. Opening performances included those by composer Du Yun and vocalist Ali Sethi. Closing performances will include a sketch by Salima Hashmi, a performance reading by Naiza Khan and dramatic readings by Zambeel. In addition, a full program of academic and artistic talks is being held every day during the Biennale. A music evening featuring Ali Sethi and Naseeruddin Sami & his sons was also organised in the walled city. On Monday, there will be a symposium on abstraction convened by Mariha Lookman at Syeda Mubarik Haveli and at the Academic Forum and Art Speak will be held at the Alhamra Art Center, The Mall. FMCG sector, a major driver of packaging demand, is seeing double digit growth. Increase in awareness of hygiene and urbanization all boost demand for packaging in Pakistan. Recently, the Pakistan Pulp Paper & Board Mills Association made an appeal to the government for a level playing field. The association contended that the local paper industry cannot compete with duty free/sales tax free imports while the local industry is being taxed at full rates. The background to this appeal is the international market conditions of the paper industry. China has enforced legislation related to environment protection which has resulted in the shutting down of units in different sectors within the paper industry. Therefore, China has started importing paper from all over the world while banning waste paper imports, causing paper prices to become volatile. In the local market, prices of final products have fallen to unprecedented level due to uneven demand and supply conditions. Imports quantity of newsprint paper has risen as the price per unit has fallen to a low of Rs56 per kg. The association, in their appeal contended that the news print paper was being used to produce text book and exercise books due to which units within the industry were forced to shut down 3 days per week in 2017. While paper products are struggling however, packaging is flourishing. Various factors are driving the growth in the packaging sector. The Punjab Food Authority has imposed an embargo on the sale of open-food products through its Food Regulation 2017. FMCG sector, a major driver of packaging demand, is seeing double digit growth. Increase in awareness of hygiene and urbanization all boost demand for packaging. Thus it comes as no surprise that major players are undergoing expansion plants. Roshan packages last year incurred Rs832 million for expansion projects of its corrugation plant. Cherat Packaging Limited installed a new Universal Papersack line that has a capacity of more than 135 million bags per annum last year. Century Paper has approved plans for installing additional capacity up to 130,000 metric tons per annum of Coated Board, subject to technical and financial feasibility. The paper and paperboard industry contributes marginally to LSM at 2.3 percent. However, it grew by 7.2 percent in the last fiscal year as per SBP’s report. Its growth is being driven by the packaging sector which has been positively impacted by LSM’s growth as it supplies the packing of products. Moody's does not expect Pakistan's inclusion in the Financial Action Task Force (FATF) grey list to have a material impact on its external financing. Pakistan had perviously been included in the list between 2012 and 2015 but managed to negotiate when its entered into an IMF program. Moody's does not anticipate any disruptions on borrowing from multilateral sources. The credit ratings service noted that a strong domestic demand was increasing pressure on Pakistan's external account while external borrowing accounted for a significant portion of Pakistan's debts. Pakistan's current account deficit has widened driven by a large increase in the good deficit, which is higher due to China-Pakistan Economic Corridor-related (CPEC) capital goods imports. Moody's noted brighter prospects were expected from exports and remittances, where rising oil prices were likely to translate into a higher remittance inflow from GCC countries. Exports are expected to rise considering most energy related projects under CPEC were nearing completion and the resulting energy suplly would play a role in boosting production activity. Given that foreign reserves dipped to a thirty-four month low of $12.1 billion; the State Bank of Pakistan had 2.5 months of import cover on a three month rolling basis, below the IMF's minimum adequacy guideline. On Pakistan's economy, Moody's noted that the country's economy has maintained its solid momentum through the first half of FY2018. Economic growth has been supported by the ongoing recovery in the agricultural sector, according to the rating agency. Moody's noted positive signs in the form of an increase in credit disbursements and more favourable weather conditions, robust activity in large-scale manufacturing owing to improved energy availability and capacity expansions. In light of domestic factors and ongoing investments related to CPEC will likely result in strong growth, Moody's noted, expecting a GDP growth of 5.5 percent for FY2018. The ratings agency does not anticipate the central bank to aggressively raise rates ahead of the upcoming general elections. Pakistan and its textile sector have been facing challenging times in recent years, owed in part to costs of production increasing at a pace faster than its neighboring competitors, but a new infusion of funds could help get the country back on better footing. The All Pakistan Textile Mills Association (APTMA) announced that its members have a plan to increase investment in Pakistan’s textile industry by establishing 1,000 garment manufacturing plants with a total of $7 billion in investments, according to Pakistan’s The Express Tribune. The plan is to set up garment plants near major textile producing cities like Lahore, Sheikhupura, Faisalabad, Kasur, Multan, Sialkot, Rawalpindi, Karachi and Peshawar, with the plants installing half a million stitching machines, which will boost annual production to 3 billion pieces. Pakistan’s textile industry has experienced decreasing investments over the last decade, as potential investors have been hesitant to make new investment due to high business costs. This has caused the sector to miss out on technological advantages to its competitors. New investments dropped to more than half a billion rupees ($4.52 million) in 2016-17, compared to 1 billion rupees ($9 million) in 2005-06, the Tribune said citing APTMA. Further, currently about 35 percent of the textile industry’s production capacity was damaged, causing loss of approximately $4.14 billion worth of potential exports. Once the proposal is implemented, the industry will need an additional 10.3 million bales of raw cotton, 345 million kilograms of manmade fiber, 1.98 billion kilograms of additional yarn and an additional 7.93 billion square meters of processed fiber. However, cotton-producing area and cotton production have decreased 30 percent and 38 percent, respectively, in Punjab since 2011. Although the textile sector performed poorly overall, readymade garments did show reasonable growth. According to the Pakistan Bureau of Statistics, exports of readymade garments registered 5.55% year-on-year growth against the overall flat growth of the textile sector, which stood at $12.45 billion in 2016-17. APTMA members has reportedly provided the government with a long list of corrective and conducive policy measure demands in return for their investments, including implementation of long-term policies, like consistent nationwide energy prices, removal of 3.50 rupees (3 cents) per kilowatt hour surcharge on electricity tariff, an extension of the duty drawback scheme for five years and drawbacks to be increased every year by 1 percent for garments (up to 12 percent) and made-ups (up to 10 percent) against realization of export proceeds. The proposal also suggested the government allow LTFF (long-term financing facility) to indirect exports, Islamic financing and building of infrastructure for garment plants. KSE 100 (Pakistan's premier stock index) is telling us a hidden positive story. Markets which climb "a wall of worry" over several years promise such a recovery, ,even if political situation and public finances are in trouble. This is the theme of Barton Bigg's (ex Morgan Stanley chief) book "Wealth War and Wisdom." This book is a must read for all Pakistani investors in stock market. In the book Biggs tells the story of the major European markets during 1939-1945 period while the World War II raged. He explains how German stocks fell even as German victory seemed assured (1942) while at the same time, FTSE 100 (London) started rallying. Biggs concludes that the "wisdom of the crowd" is often (not always) greater than the wisdom of the experts. A second point: The world may be about to see a "RELIGIOUS BEAR MARKET" as well. All politicized religiosity and the stupidities and violence associated with them may significantly reduce. The world is currenttly going through the final "irrational exuberant phase of a 50-year-long religious bull market. This will reverse and fall. This will add to Pakistan's long-term bullish case. The benchmark projections of poverty by country imply a high speed of poverty reduction in South Asia, East Asia and the Pacific, fuelled by the high rates of income per capita growth in India, Indonesia, Bangladesh, the Philippines, China and Pakistan, the study says. It showed global income increases in the last decades have led to systematic decreases in poverty rates worldwide, with the experience in India and China having played the most important role when it comes to the overall number of persons escaping absolute poverty. Rural women in multi-coloured attire, young girls learning boxing, traditional kushti (wrestling) matches, countryside kids playing football on a dusty street, tribal men learning the English language, a girl from Gilgit-Baltistan playing Rubab (a lute-like musical instrument), the rare Asian one-horned rhino, vibrantly painted rickshaws that are emblems of a cultural richness ... these are images of Pakistan so rarely seen in mainstream media dominated as it is by narrow narratives of violence, strife and politics that it drove a Pakistani freelance photojournalist to do something about overturning the stereotypes. “All you hear about Pakistan in the news is about terrorism, politics or poverty. But the Pakistan I know and live in is more than that. Pakistan is full of colours, smiles and diversity,” Saleem told Gulf News. And then last February, as he scrolled through his Instagram feed, he came across a cascade of images from a city that was on the other side of the border, in India. The Everyday Mumbai project that was all about capturing quotidian glimpses of the bustling megapolis. “I was so inspired by the Everyday Mumbai project and its creator Chirag Wakaskar that I contacted the global community of Everyday Projects to start a similar project for Pakistan,” he said. Thus was born Everyday Pakistan. Everyday Projects is a photography education non-profit and a collective of Instagram feeds which represents more than 50 countries. Its mission, according to the website, is to use photography “to challenge stereotypes that distort our understanding of the world.” The collective audience of Everyday Projects is over 1 million now. Everyday Pakistan launched early this year with Saleem as the founder/curator with the assistance of a fellow writer, Anushe Noor. What started as a one-man mission to challenge stereotypes about his homeland now boasts nearly 58,000 followers on Instagram with a significant following on other social media platforms. “Everyday Pakistan is transforming negative perceptions, one photo at a time,” Saleem said. The Instagram account offers a kaleidoscopic view of Pakistan’s innumerable wealth in terms of its people, cultures, natural resources, traditions and way of life. From the fascinating shots of St. Patrick’s Cathedral in Karachi, Buddha statues at the Bhamala Stupa near Khanpur, shrine of Sufi Saint Hazrat Ali Hajvery in Lahore, Shri Naval Mandir Narayanpura Hindu Temple in Karachi, and a portrait of 55-year-old Pakistani Sikh from Gurdwara Punja Sahib in Hassan Abdal, Everyday Pakistan brings to light the stunning cultural and religious diversity in Pakistan. The most popular post was of a young man offering prayer in the caves of Quetta which received more than 130,000 likes. During Ramadan and Eid, he received many requests from all over the world to share more photos of the festival as people were curious to learn more about Pakistan. Through the online photo documentary project, Saleem also aims to provide a platform to local photographers to promote photojournalism in Pakistan and build a community of storytellers by giving viewers an honest insight into Pakistan.